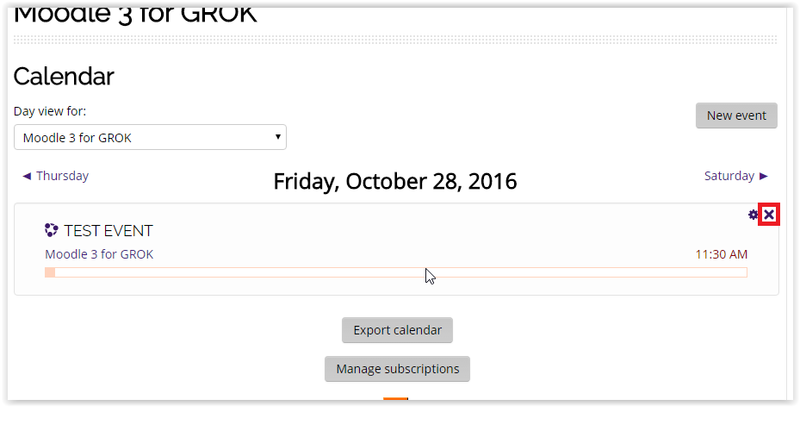 Users may delete calendar events that they have added to the Moodle calendar. 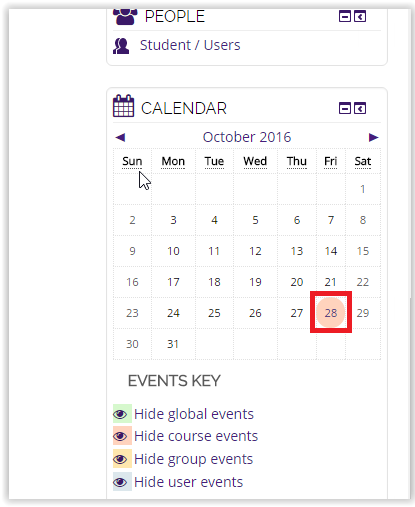 Course events attached to an activity or resource cannot be deleted directly from the calendar. 2. Select the Event that you would like to delete in your Calendar (usually in the upper right-hand corner). The date of the event will be indicated with a color. 3. After clicking on the event, click the X at the right corner of the event on the page. 4. You will be asked if you are sure that you want to delete the event. if so, select Delete at the left.